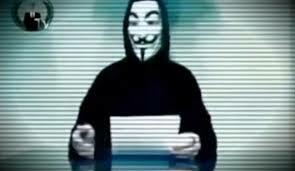 YourAnonNews (YAN), hope this is well know by all the anonymous supporter that YAN is the most popular and news sharing portal of anonymous around the world. There is the new news for the all the supporters of YAN, that they said Twitter and Tumbler are not enough, so they are going to launch there new service. YAN have mentioned that, They have not done anything much like for the supporters who have supported YAN, and they also thanks to the live-streamer and the independent reporters who contributed to YAN. So they said they are making the change. As for every projects, need financial supports. So YAN have started a campaign at international crowdfunding site Indiegogo. It seems that every one has not supported the projects till yet, then also the funds raise to $10,392, which is much greater then the expectation. But there is another big news that published on TechCrunch post yesterday, that Indiegogo has suffered a distributed denial-of-service (DDOS) attack of unknown origin. Indiegogo apologized for the inconvenience caused by today’s DDoS attack that has interrupted Indiegogo’s int’l operations. After a few hours ago of the attack done, Indiegogo confirmed that the DDOS attack was aimed at the YAN campaign. But till yet they have not identified the attacker till yet.